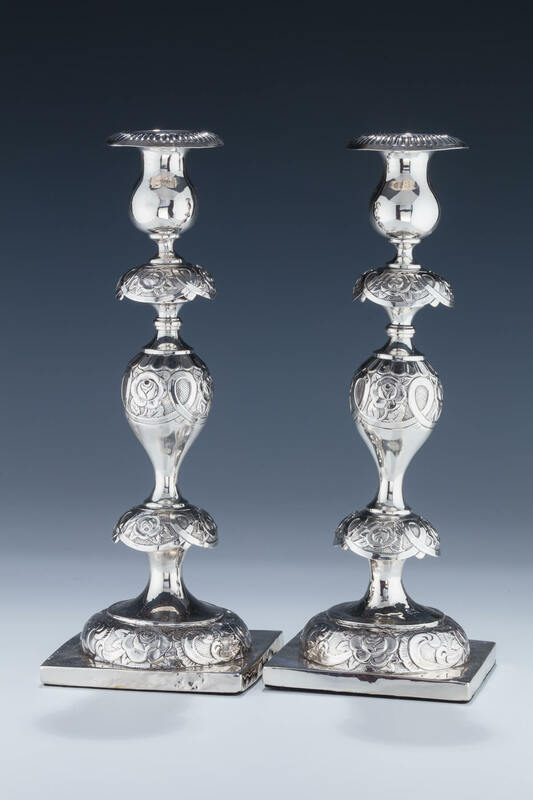 A LARGE PAIR OF SILVER SABBATH CANDLESTICKS BY SWINARSKI. Warsaw, 1862. On square bases, each chased with floral designs. Further decorated with two skirts and fitted with original bobeches. Restored, weighted and lacquered. Marked 1862, Maker, 84 and town mark. 12” tall.